Heidi was born in Mammoth and grew up between Mammoth Lakes and San Luis Obispo, two gorgeous locations. Her family used to own the historic Tamarack Lodge. Myself and my sister and two brothers were lucky enough to live at the Lodge in the forest on a beautiful lake with a waterfall. 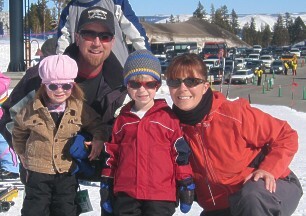 Heidi's husband, Robbie Presson, has been a contractor/developer in Mammoth for over 20 years with Presson Construction Inc.
Heidi is proud to be helping the Mammoth community buy & sell homes. "I enjoy the challenge of matching the right piece of property to my client." "We are the proud parents of three kids. 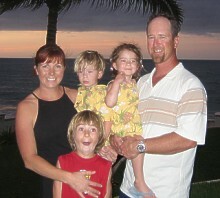 Our son Cole is nine, and our twins (boy/girl) Trent and Drew are three years old. I volunteer in Cole's classroom at Mammoth Elementary School. My husband coaches Minor League Baseball (little league). Cole is on the Mammoth Mountain "Mighty 5" team. He plays club soccer, AYSO soccer, baseball, swim team and is on the cross country ski team. He also takes guitar lessons. I'm active in several car pools!!"